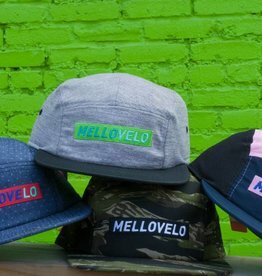 Rep your city! 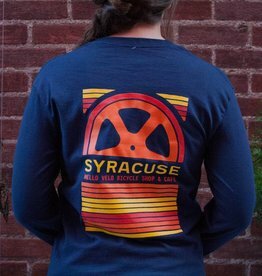 Sunset wheel design on 100% cotton long sleeve navy tee. 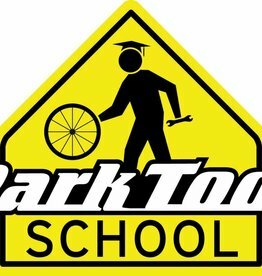 Great refresher or precursor to more advanced classes. 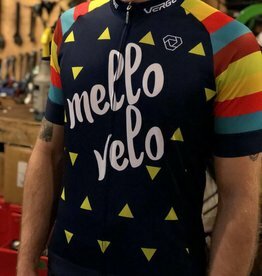 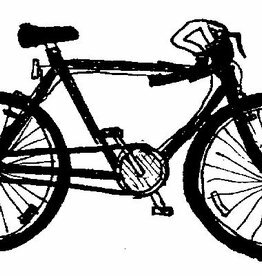 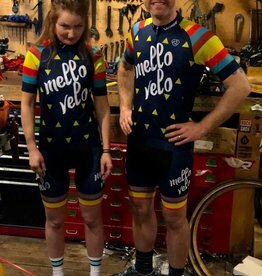 Taught by the experts at Mello Velo! 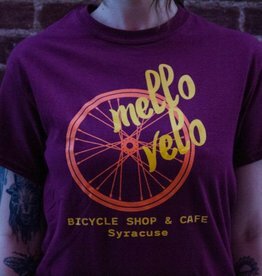 Orange and yellow wheel design on 100% cotton maroon tee. 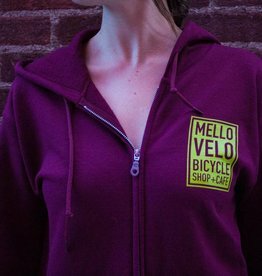 Lime green Mello Velo Bicycle Shop + Cafe logo on a cozy and soft heavy weight Maroon zip up hoodie. 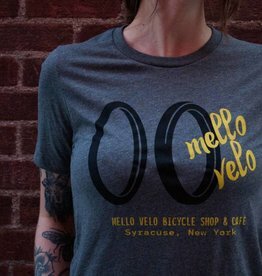 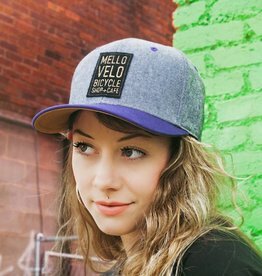 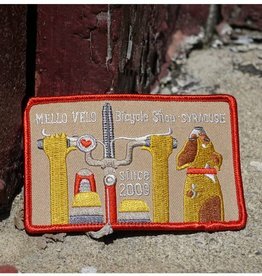 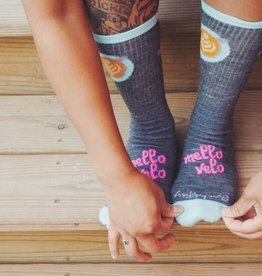 Mello Velo logo tire design on 100% cotton heather gray.